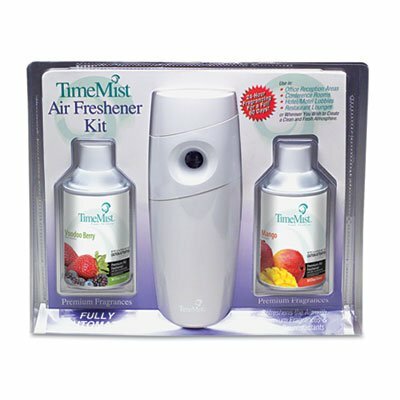 Includes standard-size metered dispenser and two 30-day fragrance refills-Mango and Voodoo Berry. Dispenser automatically releases a uniform spray every 15 minutes; 24 hours a day; for 30 days. Operates up to one year on two C batteries (not included). Material(s): Plastic; Color(s): Beige; Depth: 3 1/4".